... and how does it relate to your company's growth? For most businesses, their most valuable and important asset is their customers. In the early days at a lot of companies, the details about those customers -- who they are, how they’ve interacted with your organization -- are spread out in many different places. The CEO’s brain, a sales rep's inbox, the accountant’s stack of invoices. As a business grows, it quickly becomes necessary to have one central place where all of this information lives. Your team will be slowed down without quick answers to important questions. Who are our customers? How do we get in touch with them? How do they interact with our content? What does our pipeline of new business look like? Your prospects and customers will feel the pain when your team isn’t on the same page. From their perspective, they have a relationship with one company, not a collection of different people and departments. Everyone on your team needs context about every customer’s needs, wants, and current state, so they can pick up the conversation where it left off. These are the problems that CRM systems are designed to solve. With one central place to organize all the details of your leads and customers, it’s easy for everyone on your team to gain insight into the state of your business, and the status of every customer relationship. Do you have a need for maintaining a central list of information on your leads and customers? Does this information live in several different places? Are your customers regularly interacting with multiple people on your team? How does everyone keep track of where the conversation with any one customer left off? 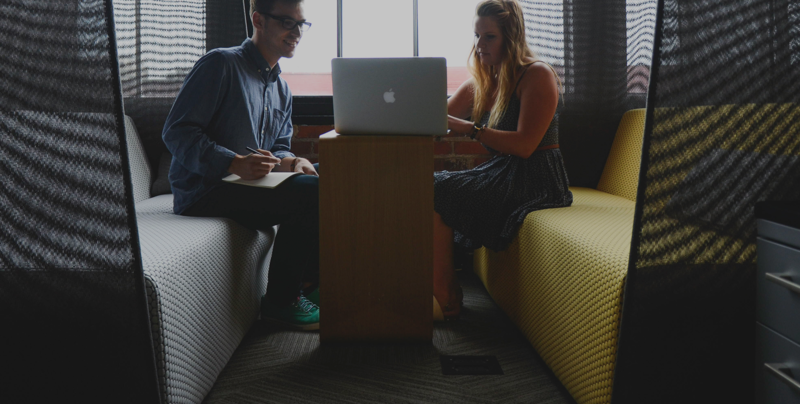 Do you need a way to better understand the productivity of your sales team? Does your sales team have a structured process they follow? 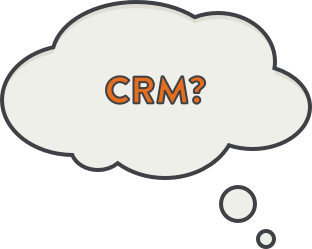 If you answered yes to one or more of the above questions, chances are your business could benefit from a CRM system. If you’ve decided that a CRM system is probably in your company’s future, the next logical question is when. Many companies start small, storing their leads in an email tool, and their list of customers in a spreadsheet. This works fine for a while, but at a certain point, things start to break. In short, the answer for most companies is pretty simple. While you may be able to get by for a while without a CRM system, adopting one sooner is often better than waiting until you feel the pain of an ad hoc solution you’ve outgrown. Many CRMs charge per-user fees. In other words, one user would cost $50, two users $100, and so on. Some CRMs charge for additional data. This could come in a few different forms. Some CRMs charge on a per-record basis: you pay for each additional set of 1,000 (or 10,000, etc.) people in your database. Others charge for data storage in size. For example, you could store up to 5 gigabytes of data for free, then pay for each additional gigabyte. Still others charge for functionality. Pay $50/user/month for contact, company, and deal management; pay an additional $50 for the “Enterprise” product that includes lead scoring and reporting. While the factors of CRM pricing can be complex, the good news is that the barriers to adopting CRM are lower than they ever have been before. A big part of the reason we made HubSpot CRM 100% free was so that people wouldn’t have to “take the plunge” on a long-term agreement with per-license fees, just in order to find out if you need a CRM. Keep your whole team using what they’re used to, and move a couple of reps.
What driving forces will define CRM’s future? Well, that depends on whom you ask. Most experts agree that businesses will naturally gravitate toward whatever CRM systems -- or alternatives to CRM -- actually drive business results. Most CRM systems are complicated, and using them properly requires a lot of manual work on the sales team (who usually don’t see equal value in return). Most CRM systems are empty databases that don’t have any insight into what customers are up to on your website, on social media, and in the many different places places and ways that customers interact with your company today. 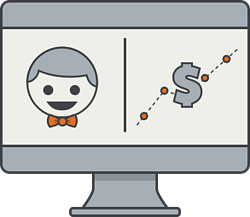 With these realities in mind, in 2014 HubSpot launched HubSpot CRM. Designed to work seamlessly with the HubSpot marketing product, we went a step further to make it 100% free for anyone to try and use. No user limits, no storage limits, no time limits. In a 2014 report from Gartner, research vice president Joanne Correia wrote, “CRM will be at the heart of digital initiatives in the coming years. This is one technology area that will get funding because digital business is critical for companies to remain competitive." Why? One word: growth.Put simply, companies are growing faster than ever. As they do, in both marketing and sales, there’s an abundance of new opportunities to reach and engage with potential customers, from new social channels to the rise of video marketing. While growth provides huge upside to companies of all sizes, these added touchpoints muddy the waters when it comes to effectively tracking and monitoring your company’s interactions with individual prospects. When organizations enter phases of rapid growth, it’s too easy for valuable leads to fall through the cracks. Not because marketing isn’t doing its job, or because sales isn't closing, but because both teams are overloaded with information. Without a CRM system, as you grow, your marketing and sales staff will spend more and more time searching through emails and trying to connect with coworkers to get the most recent, accurate information on the status of leads. This might lead to missed or double-booked appointments, or a failure to follow through on vital tasks essential for nurturing leads through the sales funnel. What’s more, each sales rep on your team might rely on a different sales process. In this scenario, communication with leads will lack consistency, or worse, prospects might even have to repeat the same information each time they connect with a representative from your company. Prospects may engage with your brand on social media channels, but because marketing isn’t clear on where the lead originated, marketers provide information out of sync with the prospect’s needs or demands. CRM systems like HubSpot CRM solve the many challenges presented by growth. CRMs effectively organize contact, company, and sales opportunity information, as well as every interaction that takes place through the multitude of customer communication channels, including your website, email, phone calls, social media, and other channels. It’s more critical than ever for marketing and sales teams to function as a cohesive unit, and CRM systems are the perfect solution to help scaling organizations achieve that goal. Perhaps most importantly, modern CRM solutions support the complex workflows of fast-growing sales teams. 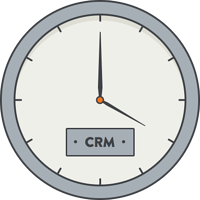 CRM systems keep your team on task and in sync, facilitating more effective use of time and eliminating many of the nuisance tasks that take up time without adding value (such as searching through email archives for the most recent communication with a lead, or tracking down the marketing representative who was last in contact with a key prospect for information needed to close the deal).